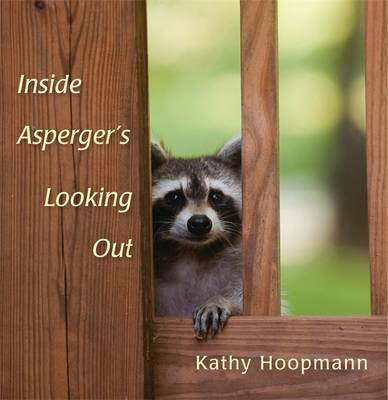 28.57% of people buy Inside Asperger's Looking Out and All Dogs Have ADHD ~ Hardback ~ Kathy Hoopmann. "Simple clear message, great for discussing with young people." Inside Asperger's Looking Out follows in the best-selling footsteps of Kathy Hoopmann's All Cats Have Asperger Syndrome and All Dogs Have ADHD. Through engaging text and full-color photographs, this book shows neurotypicals how Aspies see and experience the world. Each page brings to light traits that many Aspies have in common, from sensitive hearing and an aversion to bright lights and strong smells, to literal thinking and difficulty understanding social rules and reading body language and facial expressions. At the same time, the book highlights and celebrates the unique characteristics that make those with Asperger's Syndrome special. This is the perfect introduction to the world of Aspies, told from their own perspective, for the people in their lives: including family, friends, and classmates. Those with Asperger's Syndrome will also appreciate this book for the way it shares their own singular perspectives on life.